Who would have thought that someone who once owned and operated a restaurant in Des Plaines, Illinois, called “Don’s Dock,” could be elected to the Writers Hall of Fame?! As a teenager our honoree purchased her first zep cover, which set her on a lifelong course to become a specialist in zeppelin postal history. She was so dedicated to this field that she edited The Zeppelin Collector for 35 years. Her editing credits also include The Chicago Philatelic Society News-Bulletin, Collecting Airmail, Via Airmail, and co-compiler of The Lighter-than-Air Index. 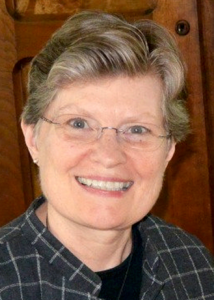 She has authored numerous articles in the American Philatelist, Jack Knight Air Log, German Postal Specialist, Linn’s Stamp News, Tell, the Airpost Journal, Collectors Club Philatelist, the Chronicle of the U.S., Philatelic Classics Society, and The Philatelic Exhibitor among others. She wrote up the Collecting Airmail Guide that the American Airmail Society distributes to this day on its website. She has also researched and written about the 1938 Chicago World’s Fair and published a book about it that included a chapter about aviation technology at the fair and the visit of the Graf Zeppelin. 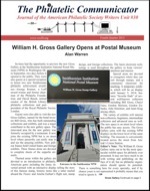 In her former position as Chief Curator at the Smithsonian National Postal Museum, she wrote and edited several books in conjunction with special exhibits that she managed and curated there. She has also exhibited in her chosen field including the recent World Stamp Show New York 2016 where her single frame display achieved 94 points and Best in Class. Philatelic leadership is another of her strong suits as revealed by a track record of various positions with the American Air Mail Society, AMERIPEX 86 exhibition, American Philatelic Society, Chicago Philatelic Society, Collectors Club of Chicago, and the USPS Citizens Stamp Advisory Committee. Her accolades include many American Air Mail Society awards: the Earl and Fred Wellman literature award, the aerophilatelic research award, the George W. Angers memorial award for outstanding service to aerophilately, the president’s award for outstanding service, and the Aerophilatelic Hall of Fame. Other honors include the Fédération Internationale des Sociétés Aérophilateliques (FISA) gold medal, the Saul Newbury award for service to Chicagoland philately, the Lee medal of the Royal Philatelic Society London, the Distinguished Philatelist award of the U.S. Philatelic Classics Society, the Wisconsin Philatelic Hall of Fame, the Philatelic Foundation’s Neinken medal for meritorious service to philately, the Elizabeth C. Pope award for lifetime contributions to philately, the Carlrichard Brühl medal of the Briefmarkenfreunde Düsseldorf, and the Alfred F. Lichtensein memorial award of the Collectors Club of New York. When Cheryl retired from the Smithsonian the Alumni News of her alma mater, University of Illinois Chicago, wrote that she followed the credo “every stamp tells a story.” Cheryl Ganz transformed the vision of philately at the Smithsonian National Postal Museum and institutions around the world. “The customary way museums exhibited their collections was almost like a stamp album or catalog,” Ganz explains. “Here are stamps 1, 2 and 3 from countries A, B and C. Bor-ring! I wanted to bring more excitement to our exhibits, to use stamps as a way of understanding the larger events that produced them. There was a great team at the museum, great curators. The trick was for everybody to start thinking big. And now we welcome Cheryl Ganz to the Writers Unit Hall of Fame. For nearly forty years Dr. Arthur H. Groten has written and published a wide variety of philatelic research. 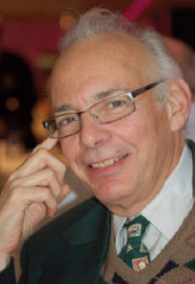 This retired radiologist from Poughkeepsie, New York, received the 2013 Luff Award for Distinguished Philatelic Research. A list of his published work includes subjects ranging from the plating 2¢ 1864 issue of Canada to Palestine postmarks, various air mail articles from Palestine to international air mail as reflected in the U.S. postal guides. He has edited publications for Postilion Publications, and written auction catalogs designed to be handbooks. And these are just from the list we have of over 15 books and pamphlets he has authored and edited. Dr. Groten has written extensively for periodical publications most notably for the Airpost Journal for which he has won the L. B. Gatchell Literature Award. He is widely known for his recent writing about the fringes of philately, especially his “Paraphilately” column in American Stamp Dealer & Collector in which he invents an entirely new form of philately. Other periodicals he has written for include the American Philatelic Congress Book, American Philatelist, BNA Topics, Collectors Club Philatelist, The Ephemera Journal, Ephemera News, Journal of the Poster Stamp Collectors Club, Meter Stamp Society Bulletin, The Philatelic Exhibitor, Postal Label Collectors Club Bulletin, Scott Stamp Monthly, S.P.A. Journal and Topical Time. Dr. Groten has been actively involved with many philatelic organizations and has provided leadership as president of the Ephemera Society of America, president of the Poster Stamp Collectors Club, president of the Postal Label Study group, director of the Society of Israel Philatelists, and director of the St. Helena, Ascension and Tristan da Cunha Philatelic Society. As a philatelic exhibitor Art has shown Canada’s 1859 decimal issue, postal history of St. Helena, Australia’s King George V one penny typographed issue, British Palestine, and Union Civil War patriotic labels. These exhibits have earned him at least three international Large Vermeil and three international Vermeil medals. On the national level they have earned (again at least as this was taken from an old list) three Grand Awards, four Reserve Grand Awards, eight Gold medals and dozens of special awards. For this and more, the APS Writers Unit #30 honors Dr. Arthur H. Groten, M.D. with our Writers Unit Hall of Fame Award. Hiram E. Deats was born May 20, 1870, in Flemington Junction, N.J. He started collecting stamps as a child, and joined the APS at 16 as a founding member in 1886. 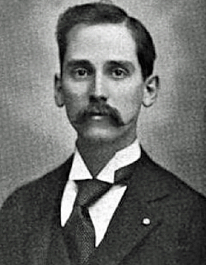 In 1892, he graduated from the Peddie Institute, where he met his wife, Eva Taylor, whom he married on Sept. 27, 1893. They had four children. His first passion was US and Confederate stamps, of which he had one of the best collections at the time due to his dedication and wealth (after his father died in 1887). Deats also started forming a huge philatelic library that was second only to John K. Tiffany’s, much of which he donated to the Free Library of Pennsylvania in 1952. Deats volunteered to the APS for about 20 years, eventually serving as president in 1904-5. He also was a founding member and first librarian of the Collectors Club of New York in 1896. In about 1895, with a business partner E.B. Sterling, Deats paid the equivalent of more than $40,000 in today’s money for ten railroad boxcars of “waste paper” from the US Treasury Department. The haul, which required many people sorting through it for two years, included thousands of stamps, proofs, essays, and covers, plus important correspondence primarily related to revenues. He was co-author (with G.L. Toppan and A. Holland), of An Historical Reference List of the Revenue Stamps of the United States Including the Private Die Proprietary Stamps (1899, reprinted 1979); Editor, The Collector’s Ledger journal (1888); various articles and lists for The American Philatelist (1894), The Daily Stamp Item (1896); Publisher, Index to The Quaker City Philatelist [for 1886-94] (1917); “Introduction,” Some Notes on the New York Postmaster’s Provisional Five Cents, Black, 1845, by O.S. Hart (1911). Intriguingly, Deats and William R. Ricketts are said to have prepared a 1915 update to Tiffany’s 1889 Catalogue of Philatelic Publications, Arranged by the Decimal System, but it was never published and the manuscript apparently has been lost. Deats’ professed occupation was farmer and he lived most of his life on his farm, called Minneakoning, where he was a Cooperative Weather Observer for the US Weather Bureau for more than 50 years starting in 1898. But he also had vast interests in coins, bookplates, archaeology, natural science, and various civic, agricultural, religious, and Masonic organizations. Deats was a trustee of Bucknell University. He was generally interested in books, serving as president of the New Jersey Library Association in 1909-10, and also New Jersey history (especially genealogy). The Hunterdon County Historical Society’s library also is named for him. Deats was a member of the grand jury that indicted Bruno Hauptmann in 1934 for the kidnapping and murder of Charles A. Lindbergh Jr. He signed the Roll of Distinguished Philatelists in 1933, was made an Honorary Life Fellow of the Royal Philatelic Society, London in 1943, an Honorary Member of the American Revenue Association in 1953, and inducted into the American Philatelic Society Hall of Fame in 1963. Deats also received an honorary doctorate from Rutgers University. He died March 16, 1963 at age 92. John Kerr Tiffany was born in St. Louis on Feb. 9, 1842. He started collecting stamps as a child living in Paris, where his parents took him to learn French. He graduated from Harvard University in 1865, and began studying law, passing the bar exam in November 1868. He then moved to St. Louis to practice law. Already collecting philatelic literature, Tiffany published The Philatelical Library: A Catalogue of Stamp Publications in 1874, and Les Timbres des Etats-Unis d’Amerique in 1883. (It was revised and expanded as History of the Postage Stamps of the United States of America in 1887.) 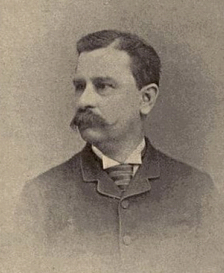 In 1886, he was member #1 of the new American Philatelic Association, and served as president from 1886 to 1896. In 1887, Tiffany published the History of the Postage Stamps of the United States of America through St. Louis’s C.H. Mekeel. His other works include The Stamp Collector’s Library Companion, Part I (1889) and Addenda (1890), “Proofs and Essays” sections of the American Journal of Philately (1889); “The Stamps of Peru” in The Metropolitan Philatelist (1891); A St. Louis Symposium (1894) [successfully plating the St. Louis Postmaster Provisionals]; and, with R.R. Bogert and Joseph Rechert, The Stamped Envelopes, Wrappers, and Sheets of the United States (1892). Later, Lord Crawford’s library, still including Tiffany’s, was donated to the British Museum, London, where it remains until today. He was named a “Father of Philately” by the Roll of Distinguished Philatelists on its launch in 1921, and was inducted into the APS Hall of Fame in the first year’s group in 1941. Today, the American Philatelic Society’s endowment fund, launched by APSWU Hall of Fame inductee Randy L. Neil when he was APS President, is named after Tiffany.